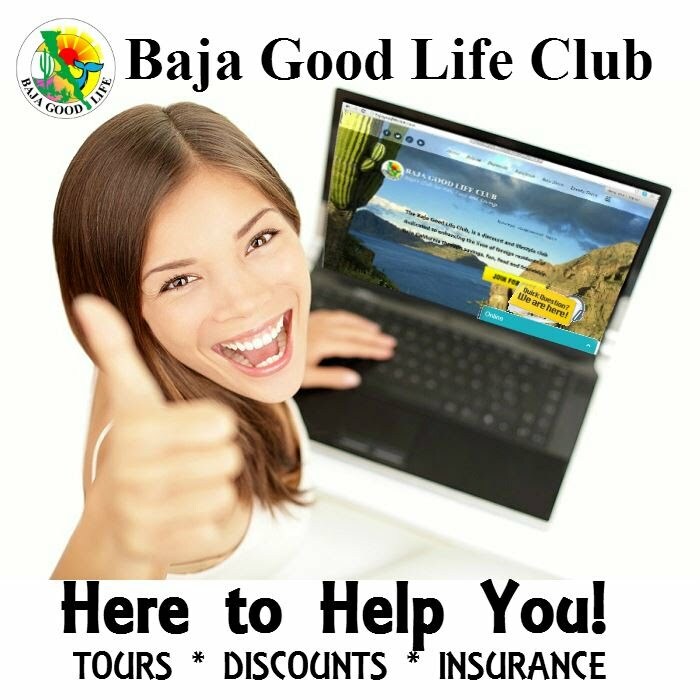 forecast to produce the damaging effects. 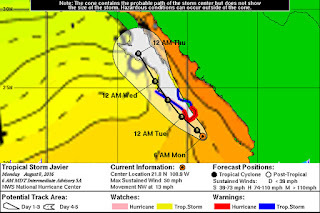 Javier is forecast to strengthen before reaching the coast of Baja California Sur it is only currently forecast to do so as a Tropical Storrm. 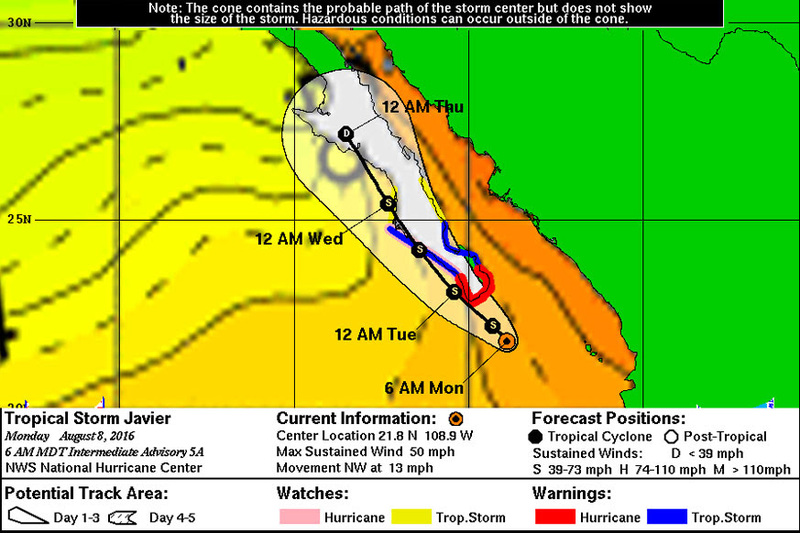 Javier is also a very small system and should pass across the peninsula quickly and dissipate as it approaches the northern state of Baja California by Thursday.